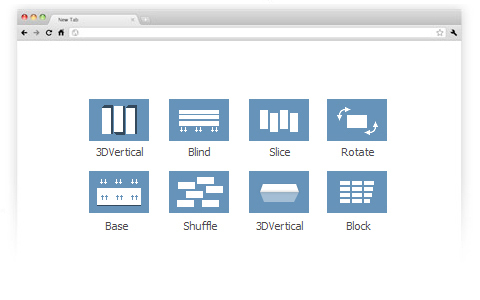 Powerful WYSIWYG & Full-Customise APP that helps you create any jQuery Slider with no coding at all! Hi Slider makes it easy for anyone to create awesome eye-catching 2D/3D realistic jQuery Slider without any programming skills. Creating an image gallery slider and making a customized WordPress slider plugin have never been so easy and intelligent, even non-coders can design gorgeous jQuery photo slideshow. You just need to "Click to Select"! You can publish a gorgeous slider for your website within minutes! It is easy to customize the appearance of your sliders with multiple built-in slider templates and different style skins, you can create attractive image slider quickly. Hi Slider provides you with 10 pre-designed templates: Classic, Wonder, Elastic, Eris Horizontal, Full, List, Dotted, Fly, Versatile, and Slidorion. At the same time, Hi Slider allows you to design your own templates with various setting features such as backgrounds color and image, control button, navigation bar, and more... The pre-made and highly configurable skins can give your slide show a professional and unique looking. Hi Slider comes with fancy design and effects. There are many awesome transition effects for you to choose: 3DHorizontal, 3DVertical, Base, Block, Rotate, Shuffle, Slice, Stack and Wipe. Each effect can be further customised to meet your own needs. And you can also choose different effect for each slide or apply one effect to all slides, or choose Random. What's more, you can set duration and direction for the animations.It is great pleasure to create vivid picture carousel in such an easy way! Powered by jQuery, the created slider can work on almost all modern devices: Win & Mac, Windows Phone, IOS, Android and so on. And the created slider is fully responsive, which means it can resize automatically to match your screens. Besides, it can run smoothly on different browsers: IE7+, Google Chrome, Safari and Firefox. In addition, the "Touch Swipe Support" feature allows you to touch and swipe the slider on touch-screen devices. The output HTML5 image slider just works everywhere! Basic version (HTML5): Output the slider in HTML form and then you can embed the HTML image slide show to your existing webpage with ease. WordPress Plug-in: If you own a Wordpress blog website, you can make the image & video gallery slider as WordPress plugin easily and insert it to your WordPress. Drupal Module: Publish the jQuery image gallery as Drupal module, and you can install the slider plugin and display it on your Drupal site. The most fundamental factor for creating a wonderful image slider lies in the content. Hi Slider is a powerful multi-media slider creator, you can design the slider jQuery with Images, YouTube Videos and Vimeo Videos. Just make your content cool and ready! What's more, the output slider loads the slides on demand, which means you don't need to wait a long time until all slides load completely. Instead, you go to one page, that current page loads. Is your slider unique enough? Hi Slider provides a series of practical custom settings for you to make your photo slidershow distinctive: add ribbon, highlight yourself with customized preloader with your logo and wording. And you can define image slider proportions, background, color, font settings, button icons, thumbnails and so on. All these tools enable you to craft the slider for seamless matching up with your site's aesthetic design. Ready to rock? We will keep improving our software to meet your needs, and we will add more features in the future. But you don't need to pay even a cent for the upgrades. And we offer you free support to help you solve any problem you encounter. There is no limitation on image slider output. Once you install our program, you can use it to create as many jQuery image slide show as you like. 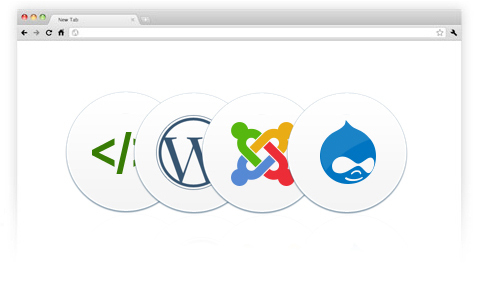 With Hi Slider, you are not only able to publish unlimited image slider, but also get them work seamlessly on different websites, web pages, blog posts and even WordPress, Joomla and Drupal. There are a lot of slider bulider for you to create amazing image gallery, and you can find the tool you want with ease by using the Search features. Just input the keywords in the Search box and the tool setting will come up to you. The powerful custom slidshow software vary from slider size to image sizing, from color to buttons, you may not know what each setting can do for you. However, you don't have to worry about that because the inline prompt will tell you. Once you click the Clip, the instant Help box will pop up. 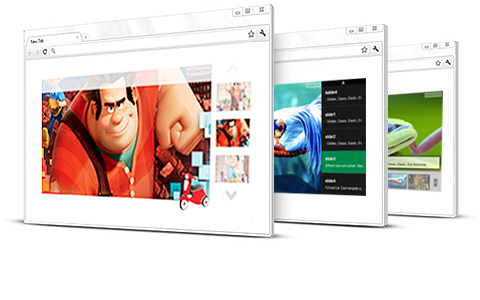 Hi Slider provides multiple templates, each of which includes built-in skins. You can design different styles and outlooks for the slider by choosing different options: proportions, color, background, ribbon, button icons and so on. Currently, there are 2 types of preloaders for you to choose: Basic and Cycle. Basic style is quite classic and simple, while Cycle style allows you to customize the preloader with more settings: you can not only change the images and loading text, but even add your company logo with description. To match your website's aesthetics, Hi Slider offers you awesome options to embellish the slider. You can set border and shadow for the slider and the thumbnails. Besides, in some templates, you can even adjust the color and opacity to fit your web page design. 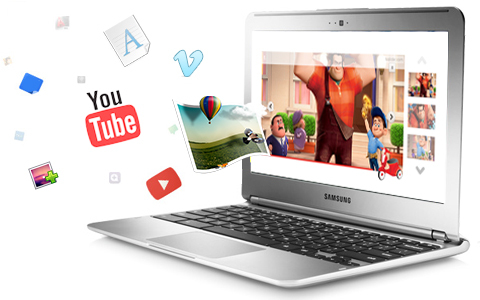 When you import images or videos, Hi Slider will automatically generate synchronized thumbnails for the slider. And the generated thumbnails are of different styles in different template. You can define size, spacing, border and more for the thumbnails. Hi Slider allows you to add images and videos simply, even when you finish designing the slider. And you can re-order the images with simple clicks on buttons. What's more, you can also Drag-N-Drop to rearrange the images. It's very convenient and cool to preview the slider before you publish it. After you click the "Refresh" button, you will see the changes of the slider at once. Besides, you can preview the slider in your browsers. The Live Preview feature helps you improve and perfect your slider in time. Hi Slider enables you to save the current project and edit it at later time, which means you can update your jQuery slider with ease. You don't have to import images, choose template and skin, define settings again, just open the saved project and you can edit it. If you like the current settings very much and want to apply them to other sliders, you can export the skin as a . *thm file, then you can apply these settings to other sliders by importing the skin. Once you output the slider in HTML format, Hi Slider will automatically generate embedded code which you can insert to your existing web page. You just need to copy the code and you can make the content slider live on your site. The image gallery created by Hi Slider is a responsive slider which will automatically resize to fit its container and screens. This feature allows the slideshow to be viewed completely in a responsive website. This feature can make your image slider more dynamic and attractive. You will see the images panning or zooming while the slider plays. Hi Slider provides Fullscreen feature for you to view the carousel slider in fullscreen mode, and you can change the fullscreen icon which will pop up on hover. 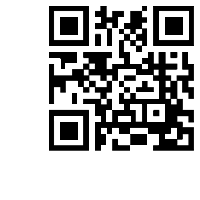 You can add caption for each slide show as elaboration. And you can personally define background, opacity, position, and font family, size, color. The created slider is set to load on demand, which means the slider will load images only when they need to be displayed. 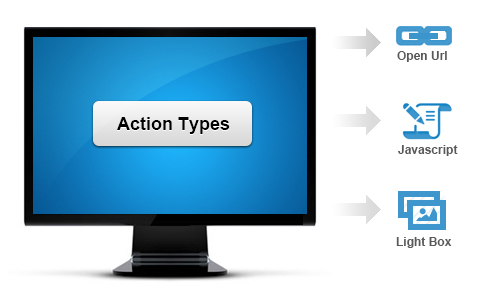 Just loading the current and adjacent slides can lessen the loading time and improve experience greatly. Hi Slider is an absolutely jQuery image slider maker and definitely no flash involved. You don't need to install Flash Player on your system, let alone always keeping updating the Flash Player. 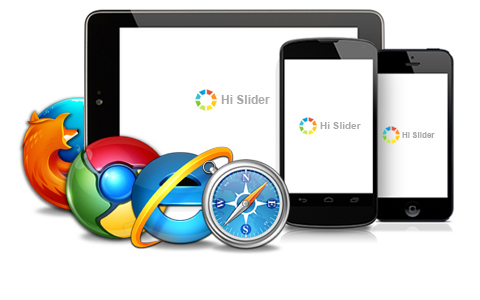 Hi Slider allows you to navigate through the responsive photo galery slider with page buttons and thumbnails. And imagine how great it will be to slide the images with Left and Right keyboard keys. 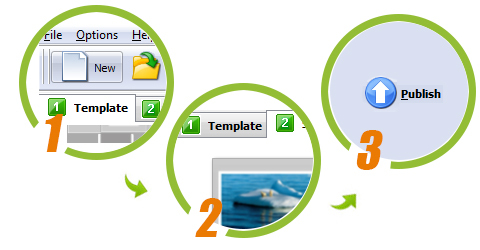 You can set the image slider as an auto slideshow so it can display automatically and loop through all the images. And you can set the interval for auto play mode with a progress bar running.